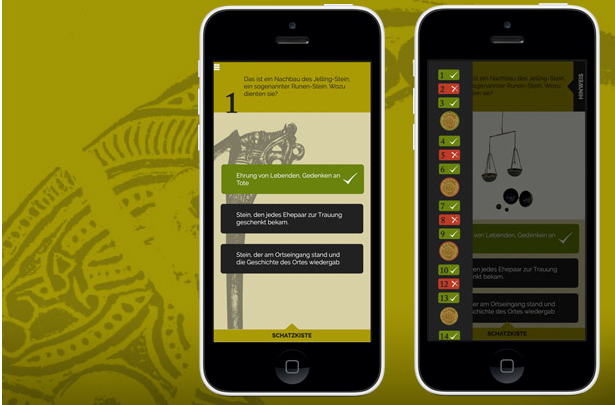 An App by gebrueder beetz filmproduktion in cooperation with the Museum for Vor- und Frühgeschichte Berlin. 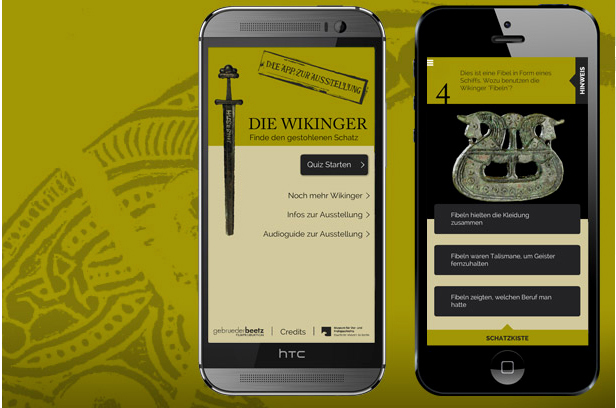 Vikings – The Treasure Quiz is the Museum-App for the exhibition “The Vikings” in the Martin-Gropius-Bau from September 2014 till January 2015. The App take Viking fans on a journey through the history and the culture of the vikings. The App is an interactive Quiz for mobile devices which uses questions to guide the player through the exhibition to explore the artifacts. The quiz is not only an experience you can have at the exhibition only, it is possible to play at home any time as well. kunst-stoff was hired by gebrueder beetz filmproduktion for the Design and the Software of the App.